Despite having one of Australia’s smallest urban populations, there’s no shortage of entertainment and gambling options in Canberra, the country’s capital city. Located in the ACT (Australian Capital Territory), the city offers a wide variety of gaming options, from pokies in the many different clubs and lounges scattered throughout the region, to the Canberra Casino, which houses a number of blackjack tables. Gaming laws in Australia vary from state to state, although there are a small number of federal regulations and standards that govern gaming machines. Most laws are regulated by individual states and territories, so someone from Victoria or NSW may find subtle differences in how gambling is regulated compared to their home state. These differences generally relate to betting maximums, minimum return to player, and how winnings are paid out to the player. In Canberra, clubs and hotels that offer gaming services are governed by the ACT Gambling and Racing Commission. Up until early 2016, pokies were only allowed inside registered clubs and lounges, while Casino Canberra could house only table and card games. There are now 200 machines available on the gaming floor of the casino. Unlike casinos in Melbourne and Sydney, which are open 24 hours a day, Casino Canberra operates from 12pm until 4am. All venues in Canberra are required to close for at least a five-hour period every 24 hours. Other restrictions including winnings over $1,200 being paid by cheque, machines only accepting $5, $10 and $20 notes, and the maximum bet on a gaming machines being $10. The minimum RTP on gaming machines is 87%. Your best and only option for playing blackjack in Canberra and the ACT region is at Casino Canberra, the city’s largest gaming venue. You can play on a number of different tables located in the venue from the moment the casino opens at 12pm until it closes at 4am. Blackjack at Casino Canberra is played with six standard decks shuffled together. Players must hit on 11 or less. Canberra is the only casino in Australia that allows players to split on regular pairs — excluding aces — to 4 hands. You can also double your bet on any two cards and not just 9,10 or 11, something not available in Melbourne and Sydney casinos. The casino also holds blackjack tournaments throughout the year, alongside poker tournaments, which are held almost every week. Due to the initial pokies monopoly that kept pokies out of the casino, there are many countless gaming venues scattered throughout the territory. Note: This information is intended for our international readers only. Online gambling is illegal in Australia as of September 2017 following the introduction of the Interactive Gambling Amendment Bill 2016, so for Aussies the content below is informational in nature only. 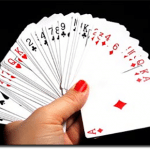 Online casinos are now the most convenient way to play blackjack. 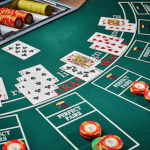 There are many different forms and options available to blackjack players, with all of our recommended casino sites offering online blackjack from some of the best software providers. The best thing about online blackjack is that it can be played anywhere, be it on your desktop computer, on your laptop, or even your smartphone and tablet. There are many other benefits, such as lower house edge in online variations, wider betting options, and more low-stake and high-stake games for a variety of players. There’s also the benefit of being able to play 24/7, compared to many local land-based casinos, which may close unpopular versions of blackjack that attract a lower house edge during quiet hours. Online casinos offer live dealer blackjack, which you play live with an actual dealer, broadcast onto your screen via webcam. This offers the excitement and realism of being in a casino, blending it with the comfort and convenience of playing at home. There are also blackjack tournaments that you can get involved in. All Slots and Royal Vegas often hold online blackjack tournaments in a variety of forms. Some require no cost to enter, while others require players to buy-in. There are even tournaments that stop and start depending on the amount of players at the table, meaning you can join a tournament even once it’s started. That’s something you can’t do at a land-based blackjack tournament! If you’re keen on trying your hand at blackjack at one of the many fantastic online casinos, check out our favourites below. G’Day Casino: G’Day Casino offer fantastic welcome bonuses on your initial deposit, and a fantastic selection of blackjack games. Guts: Aside from having a spectacular selection of slots and table games to choose from, Guts has a huge blackjack offering. There are 17 different blackjack games available to play, including live dealer games.